Water is crucial for life. Unfortunately, billions of people across the globe cannot access clean drinking water. Clean and safe water is vital for maintaining good health and the overall well-being. But with the continued climate change due to human activities, getting access to adequate clean and safe drinking water is becoming harder by the day. Human activities have exerted a lot of stress on the existing natural resources, and water contamination has become the order of the day. The processing facilities that supply us with clean water have become unreliable and stand the risk of supplying contaminated water, especially where there is a power outage. Groundwater and well water that people relied on has also become unsafe for consumption due to the contaminants that find their way through the soil structure. Natural disasters such as hurricanes and earthquakes are more common in this era than in the previous years. Whenever hurricane hits, it cuts off main water supplies and also causes contamination of drinking water whenever sewerage systems erupt. Farm and household chemicals are increasingly finding their water into our water systems, thus posing serious health risks to the consumers. Drinking contaminated water can lead to numerous waterborne illnesses such as dysentery and cholera. These waterborne diseases are responsible for the deaths of millions of people across the globe. Cholera causes diarrhea and vomiting, which in turn leads to dehydration. Cases of cholera and dysentery are common whenever there is a natural disaster such as a hurricane. Where drinking contaminated water doesn’t lead to cholera and dysentery, it can cause skin infections. In some cases, getting into contact with contaminated water is enough to cause skin conditions to develop or even worse, lead to gastrointestinal and respiratory infections. This clearly shows the importance of ensuring that you have access to clean and safe drinking water. When ensuring that you have access to clean and safe drinking water, knowing the difference between filtering and purifying, and the technicalities of how and where to store clean drinking water can help you in determining the tool that you will need. The function of a water filter is to physically remove impurities in the water by denying them access through the pores of the filter. Most of the water filters in the market today are effective in removing cysts, protozoa, and bacteria, but they may not remove smaller microorganisms such as viruses. The best thing with water filters is that they are portable; therefore you can take them outdoors when hiking or even camping. Water Filters Fill2Pure are some of the highly ranked filters in the market today. Whereas water filter is designed to remove physical impurities, water purifiers are designed to remove the remaining impurities to make water safe for drinking. Water purifiers come in the form of chlorine or iodine tablets that are small and easy to carry. It’s worth noting that water purifiers alone cannot remove physical sediments and other harmful contaminants such as heavy metals. So, besides having a filter and purifier, what another measure can you take to guarantee the safety your drinking water? You should send samples of your drinking to a state-certified environmental testing lab regularly to check for contaminants such as coliform bacteria and nitrates. Most of these contaminants seep through the soil structure slowly where they find their way underground aquifers. Alternatively, you can also buy a home testing kit from a reputable source. Your kit should come with clear instructions on how to test your water supply for various contaminants such as bacteria, lead, and ammonia. It should also help you to determine the pH balance of your water supply. 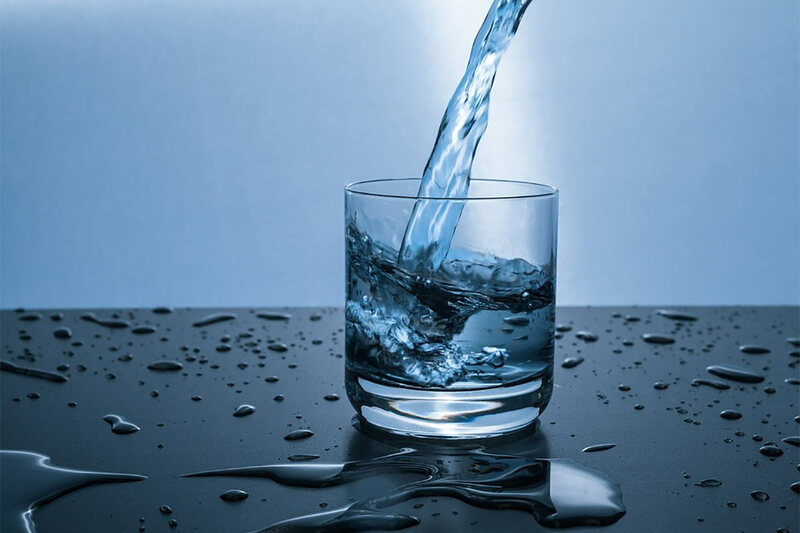 As highlighted earlier, filtering water helps to remove the majority of the physical contaminants such as sediments and metals and also some protozoa and bacteria. Due to the advancement in technology, you can now buy a water filter that targets specific contaminants that are of importance to you. The plumbing system in your home can be a source of contamination, especially if you are living in an older home. Most of the homes built in the early 70’s contain harmful materials such as asbestos and lead that may find their way into your drinking water, especially when they are disturbed during the renovation. Lead and other heavy metals cause serious development effects especially on children and fertility problems in adults. Heavy metals have also been linked to the occurrence of various types of cancer. Household chemicals can easily find their way into your drinking water if they are not handled properly. Also, you should avoid flushing unused medications and other chemicals into the toilet. Trace amounts of these chemicals can end up into your drinking water. Additionally, you should avoid using harsh chemicals and pesticides in your yard since they can also find their way into your drinking water. Nowadays, it’s easy to access environmentally friendly products for cleaning and performing other household chores. Experts recommend that you should boil any water coming from your tap before drinking. Boiling water helps to eliminate the disease-causing microorganisms thus making your water biologically safe for drinking. To eliminate the microorganisms, allow your water to boil completely for about three minutes. Then give it some time to cool before transferring to a clean container for storage. While boiling the water helps to kill most of the microorganisms, it doesn’t get rid of contaminants such as nitrates and heavy metals. In fact, boiling water increases their concentration especially when water evaporates. These contaminants can only be removed through filtration. Boiling drinking water is an effective way of keeping your water safe from biological contaminants. But re-boiling drinking water can be dangerous. Boiling your water for a second time can introduce more toxins and metals that might be present in the kettle or pot that you are using. It’s recommended boiling water that you can use at only one time. How frequently do you clean your faucet nozzles? Do you know that with time chemicals such as calcium and salt accumulate on the faucet nozzles? These chemicals can be a source of contamination for your drinking water. Also, you should clean your water storage tanks regularly to remove dirt and other contaminants that might have built up with time.